16 February 2015 – Watlington, Oxfordshire, UK – Loyalty schemes could be disappointing customers and costing retailers conversions, a new report from iVend Retail, a leading global retail solution brand, warns. The report – ‘Omni-Illusion: why are customer connections disappearing when shoppers reach the store?’ – reveals that on average UK shoppers are part of 3 loyalty programmes. However, a third of customers (33%) don’t believe they get sufficiently targeted offers in the physical store environment, compared to the customised offers they receive online. 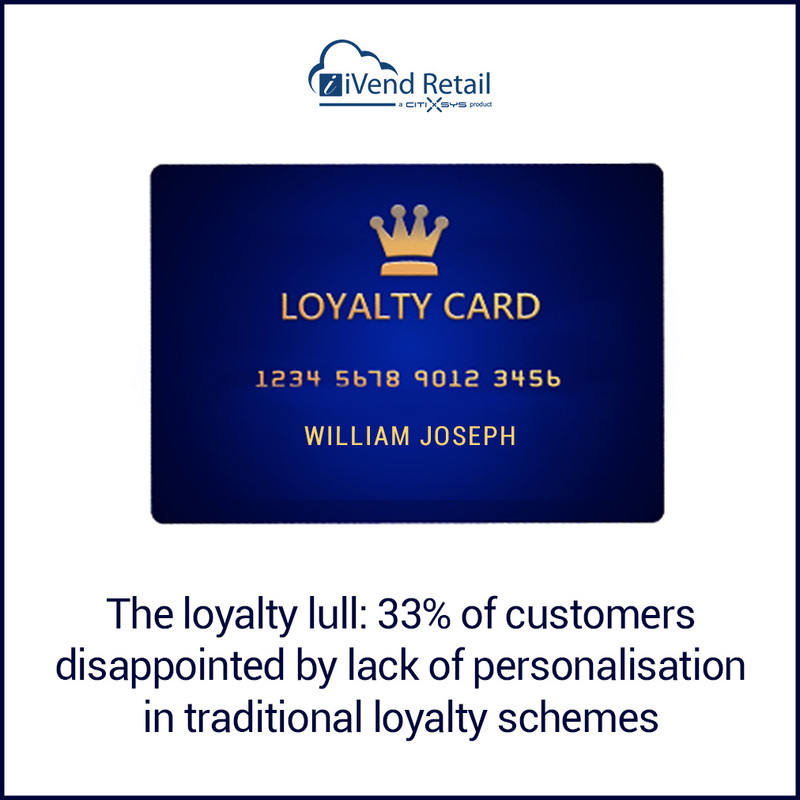 Among the top frustrations associated with store loyalty is lack of personalisation. Nearly half (48%) of UK shoppers have missed out on claiming points or paper vouchers because they failed to use them before the expiry date. What’s more, a further 15% said they often forget to use the loyalty cards they carry in their wallets, meaning they miss the opportunity to collect points when shopping in-store. 26% of UK shoppers would like personalised offers sent direct to their phone when they enter the store, while another quarter (25%) would prefer to get regular incentives direct to their mobiles or via mobile apps, allowing them to collect and redeem points holistically both in the store and online. “By using a mobile-first strategy for loyalty, retailers can bridge the offline and online gap, delivering more personalised offers so each shopper feels valued at an individual level whilst using digital capabilities and customer data to better tailor such incentives,” he concluded. iVend Retail by CitiXsys is a global provider of integrated omnichannel solutions for retail and hospitality chains. Our software solutions integrate vital systems to produce a flawless ecosystem where data flows instantly and freely, with minimal IT investment. Designed to provide exceptional customer experiences throughout the entire shopper and dining journey, iVend Retail solutions for point of sale, loyalty, eCommerce, digital passes, analytics and mobility will increase revenue, improve customer retention, and bring in new business, all while lowering your operating costs. Our suite of solutions is available through a worldwide distribution network of certified partners. For more information about iVend Retail, www.ivend.com or email us at contact@citixsys.com.